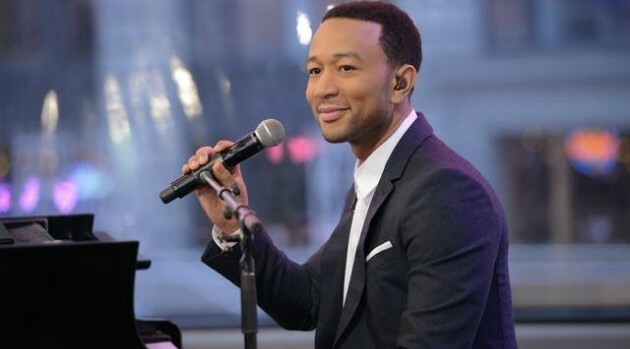 Unlike other entertainers scheduled for the BET Awards line-up, John Legend has decided to reveal which song he plans to perform at the annual ceremony. The singer has opted against showcasing “All of Me,” which recently became his first Billboard Hot 100 chart-topper. Instead, Legend plans to debut his new single, “You and I,” lifted from his latest album, Love in the Future. “I’m excited to be performing #YouAndI at the @BETAwards this Sunday!” he tweeted on Friday. In addition to performing at the event, Legend is also nominated in the Best Male R&B/Pop Artist, which also includes August Alsina, Chris Brown, Justin Timberlake and Pharrell Williams. Taking place at the Nokia Theatre L.A. LIVE in Los Angeles, the 2014 BET Awards airs this Sunday, June 29 at 8 p.m. ET.